We have been hard at work on product development the last four weeks (and the last eighty weeks before that, really)! This month however we have a couple exciting developments to discuss, particularly on the product release front, but additionally on the marketing and product demonstration front. 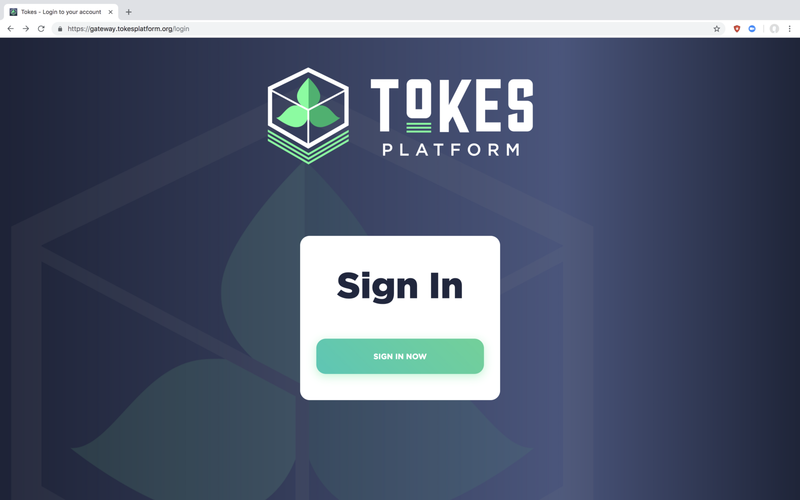 The Tokes Merchant Gateway point of sale software is now live on our website for users to test! To give it a try, please go gateway.tokesplatform.org. This particular iteration is designed for physical use inside of brick and mortar businesses — so you can’t yet direct users to your own gateway for online purchasing. To use the beta version of the Gateway, you will first need to register an account using a valid email address. Once you have logged in, go to the “Company” section and fill out the information required there. 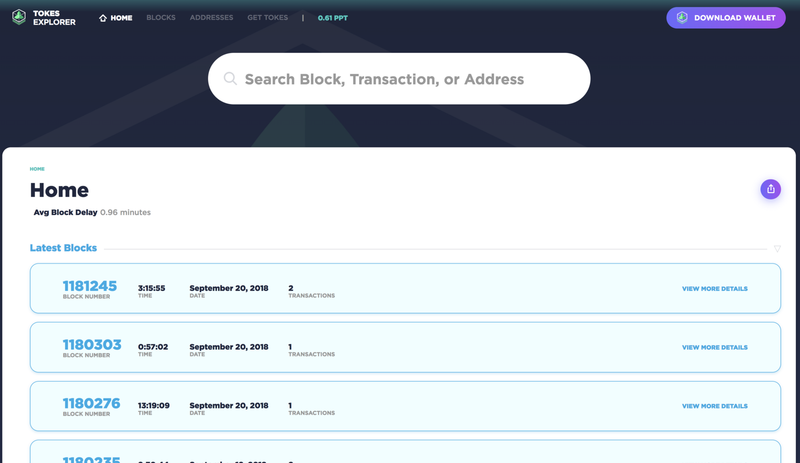 Next, click on the “Accounting” tab and be sure to enter your own Waves (Tokes) receiving address. This will ensure that any funds you send to the gateway are returned to you, and for testing purposes you can send Tokes from the same wallet as your receiving address here. 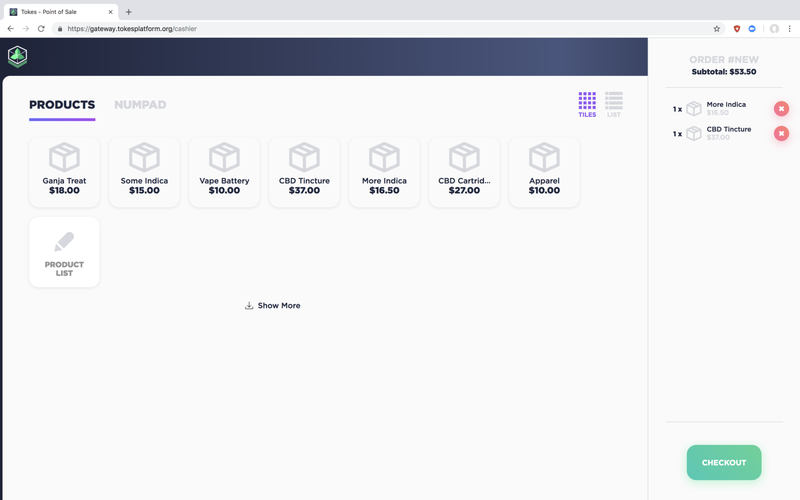 In order to run a test transaction through the Gateway, you will need to enter some products into your inventory, and then use the “Cashier” section to create an order. Upon selecting the items for the order, press the “Checkout” button, followed by “Pay Now” which will display the QR code to send the outstanding Tokes balance to. The order total displayed here is based on a real-time query of our order books on open exchanges for depth and price, in order to ensure that the actual settlement price in Tokes is fully equivalent to the USD value of the order. Some features visible within the Gateway are not yet live. However, we encourage users to give us feedback on the current feature set using the “Beta Feedback” link in the lower left corner of the Gateway. We are very excited about the launch of this software and hope our users are too. In addition to releasing the beta of the Merchant Gateway, we have a Tokes specific Block Explorer in production now. Currently the explorer contains the same basic functionality of the Waves explorer; the ability to view the complete history of all Tokes transactions on the network, but without the inclusion of Waves or the other Waves network assets. In the future however, we intend to add some additional features to this explorer for regulator/auditor purposes. For example; private explorer logins for businesses to aggregate their own transaction data, or in the case of a regulator, the ability to compare individual business entities. We will release the public version of the Block Explorer soon, be on the lookout for news around this. In line with our recent development efforts, with the aid of an independent firm we have been in the process of a full compliance audit to ensure that we meet the necessary reporting and privacy requirements to proceed with an application for money transmission with Nevada’s money services division. This audit is imperative for the purposes of acquiring a money transmitter’s license, whether in Nevada, or additional states where we intend to operate. The application to the state will follow shortly after our audit completes. On Monday September 24, Tokes founders Michael Wagner and Gabriel Allred will be at the Build the New Nevada conference at the Smith Center in Las Vegas. In 2017, Nevada passed SB 398, a bill recognizing the legitimacy of cryptocurrency transactions which prohibits any additional taxation on blockchain technology. The Build a New Nevada conference is an extension of this impetus, connecting government and business leaders with providers like Tokes in order to put blockchain solutions that aid Nevada front and center. Gabriel will be giving two talks, the first on supply chain management solutions on blockchain, particularly the EPCIS chain currently in production by the Tokes Platform designed for integration with seed-to-sale software. The second will be a primer on the payment solutions produced by the Tokes Platform along with a live demo of the system including acquisition of Tokes at the Vault Logic Smart ATM, purchase of a product through the Merchant Gateway, and the tracking and auditing of transactions on the Block Explorer. Following this will be a basic cost-benefit analysis outlining how this technology can benefit both business holders and the tax authority within the state of Nevada. On a similar front, Michael gave a talk to the Atlanta bitcoin embassy on Wednesday, September 19th where he demonstrated the new Tokes Merchant Gateway to a group of eager crypto enthusiasts. As we launch more products in the coming months, you can expect more radio chatter from us as we demo these new technologies to both cannabis and cryptocurrency audiences.